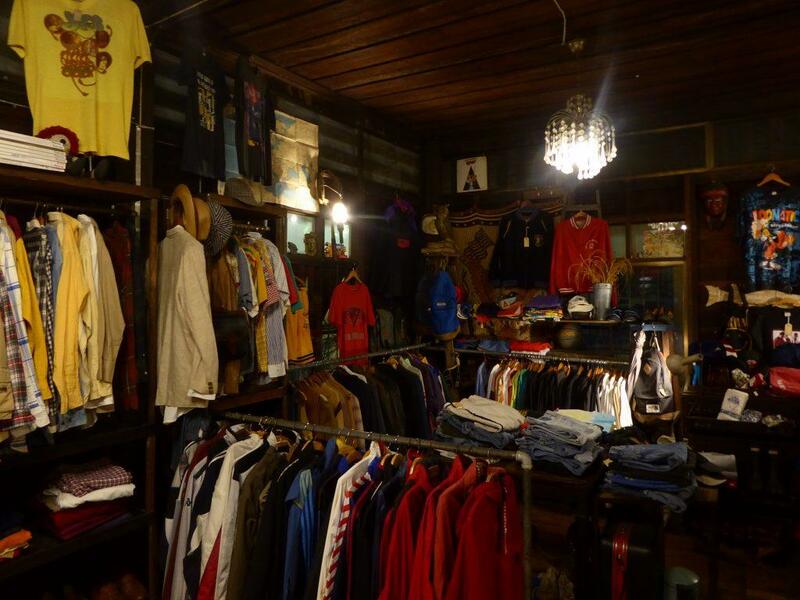 If you’re looking for vintage clothing stores in Bangkok, Thonglor & Ekkamai roads have boutiques with a good choice of vintage & retro fashion items. (Un)Fashion at Ekkamai Mall on Sukhumvit 63. 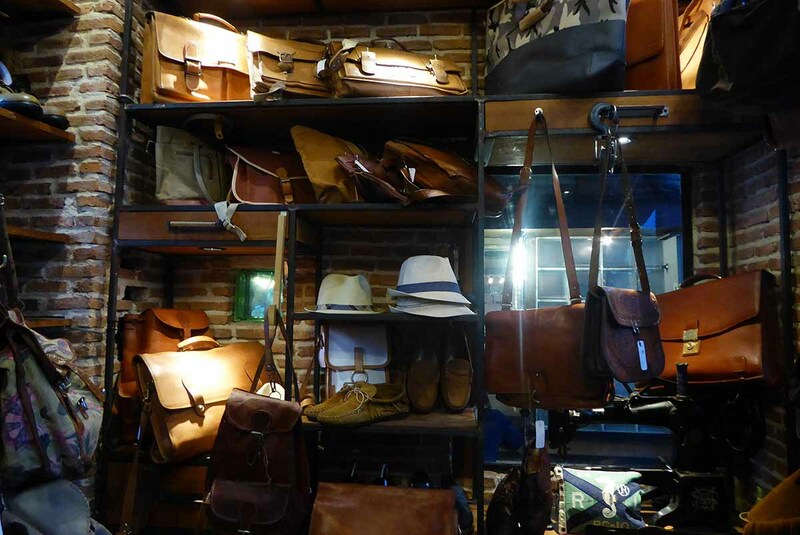 It specializes in vintage men’s and women’s shoes, boots, hats and bags in a variety of materials including leather. There are also lady’s belts and accessories. The stock mostly originates from Europe and the USA and dates from as far back as the 1930s. 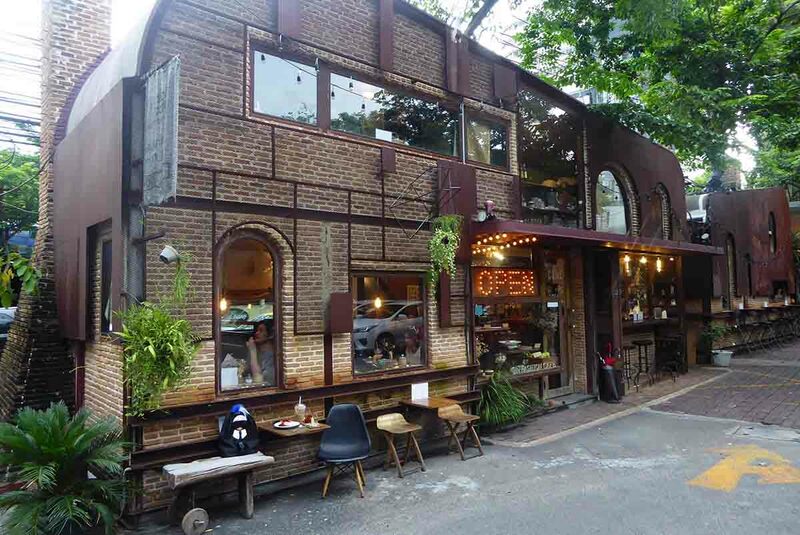 There are separate women and men’s stores as well as an adjacent cafe/restaurant serving cakes, bakery, and International food. There are also imported modern home decor items for sale. BTS Ekkamai Station (exit 1), turn right into Sukhumvit 63 (Ekkamai) and walk for 10 minutes. Ekkamai Mall will be on your right at Soi 10. 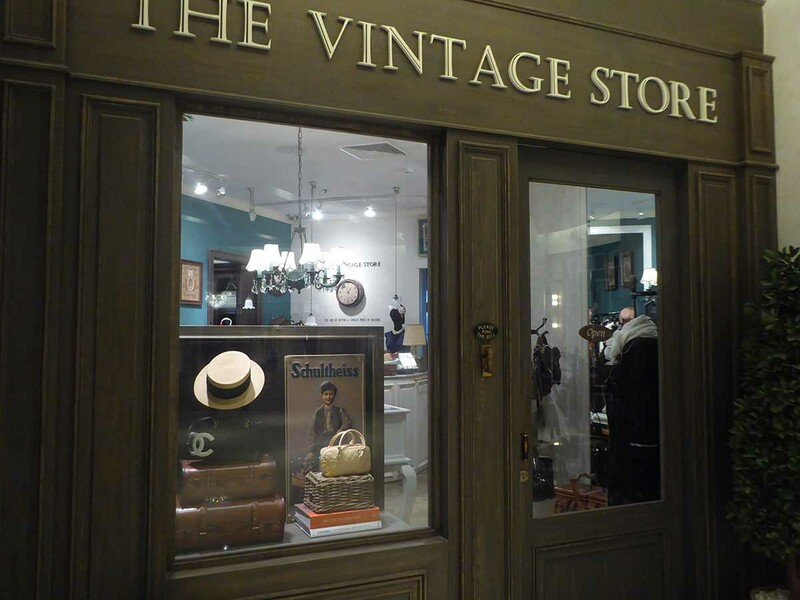 The Vintage Store is at the Eight mini-mall in Thonglor. 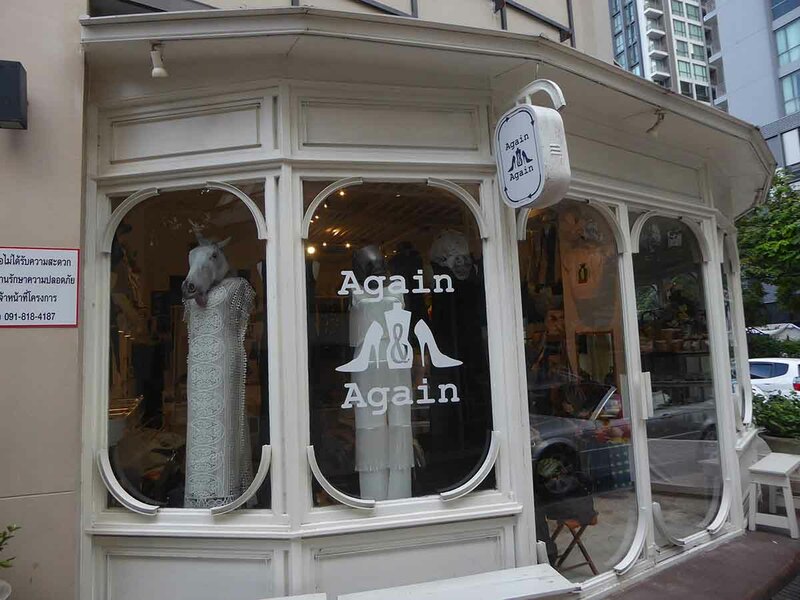 It specializes in genuine second-hand vintage designer and collectible items such as handbags, jewelry, shoes, and accessories. Brands include Hermes, Chanel, Dior and more. 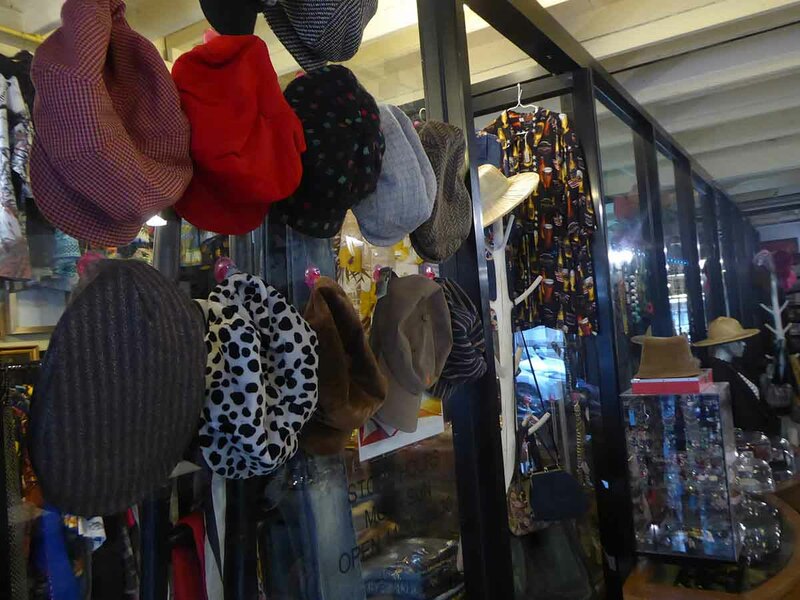 Location: Ground Floor, Eight Thonglor, Sukhumvit 55 (Soi 8), Bangkok. Getting There: BTS Thong Lo (exit 3), turn left into Suk 55, The Eight is a 10-minute walk on the right-hand side. 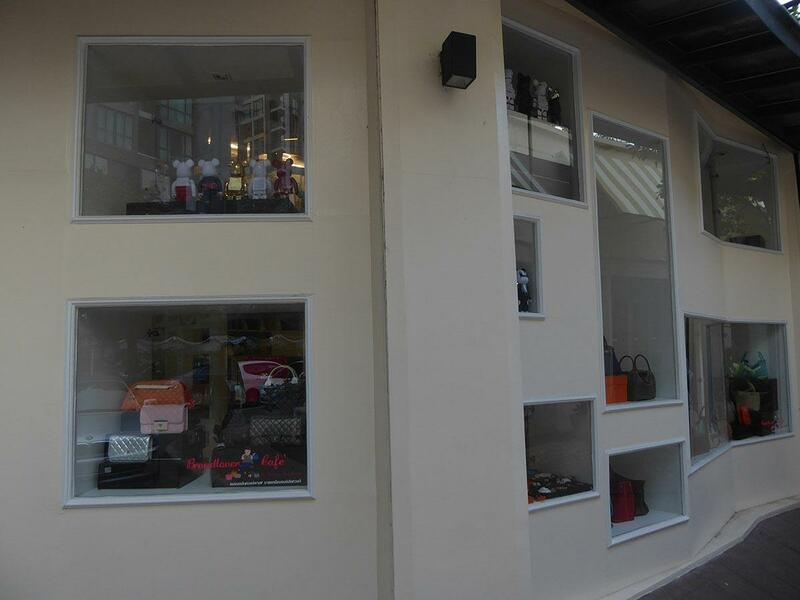 Brandlover is at the Piman building on Sukhumvit Soi 49. 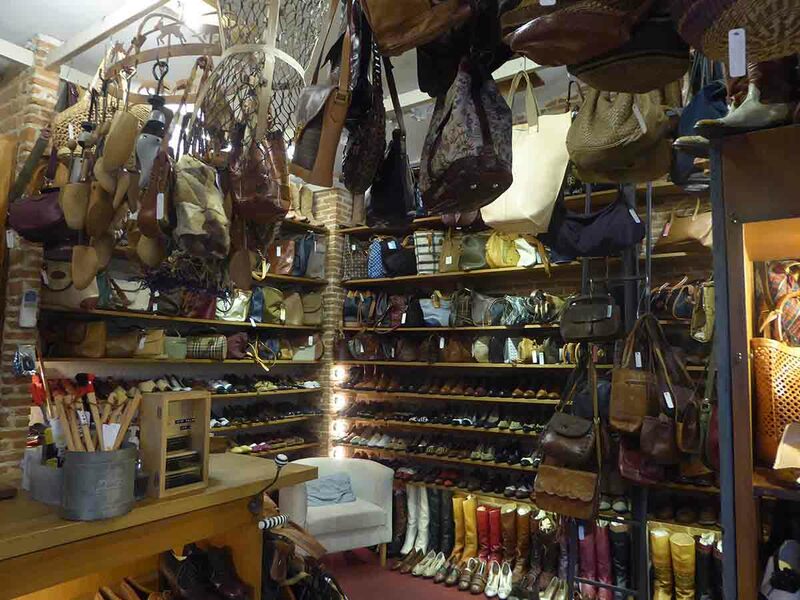 It specializes in genuine second-hand designer handbags, shoes, clothes, necklaces, bracelets, sunglasses, belts and more. 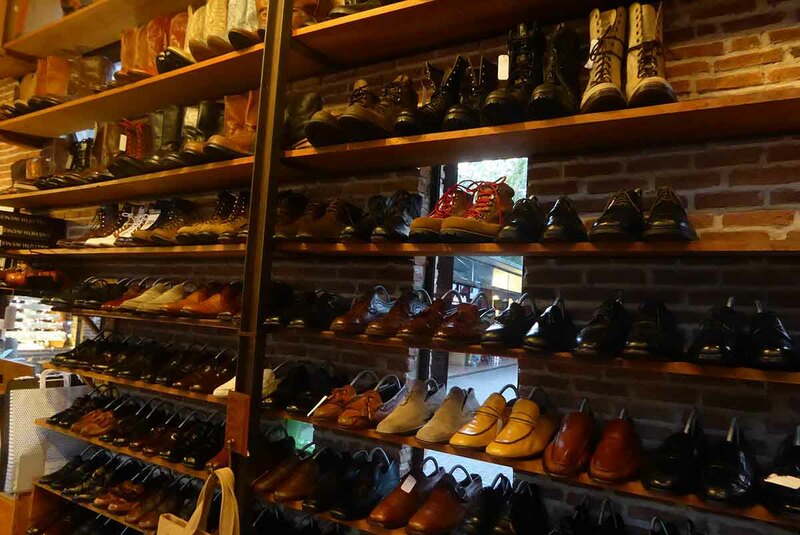 Brands include Hermes, Chanel, Vuitton, Gucci, Prada, Dior and more. Location: 4th Floor Piman, 49 Sukhumvit Soi 49, Bangkok. Getting There: BTS Thong Lo (exit 1), Walk down Sukhumvit Road and take a right into Soi 49. 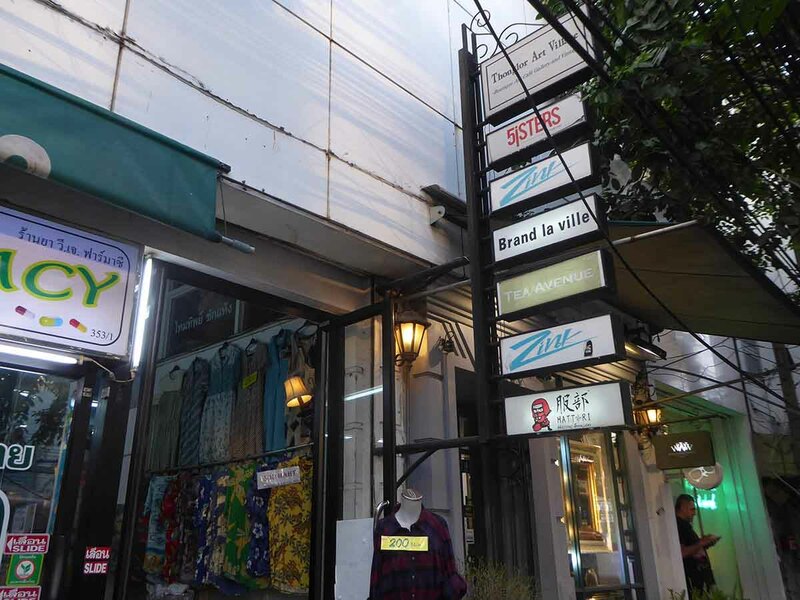 Brandlover is a 15-minute walk down the Soi. Again & Again is near Suanplern Market on Rama IV Road. 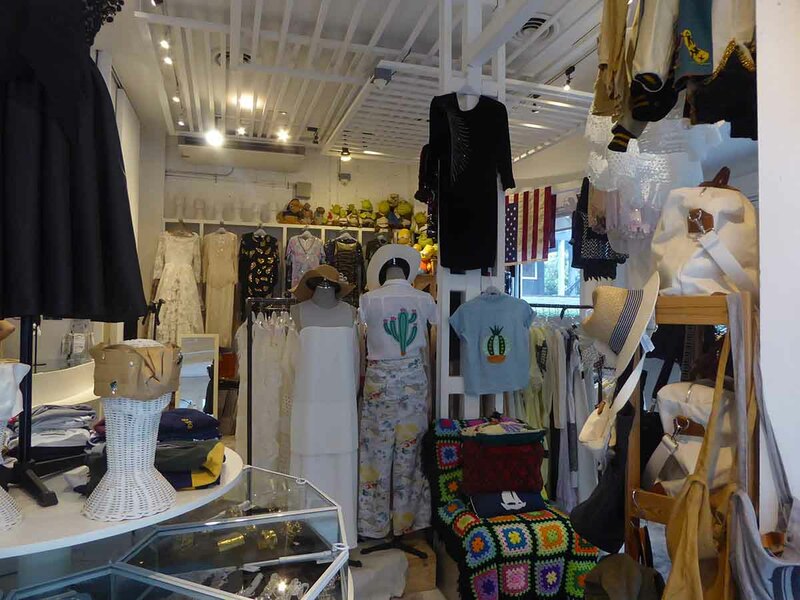 It specializes in authentic vintage women’s clothing and self-made vintage reproductions as well as bags, shoes, and accessories. 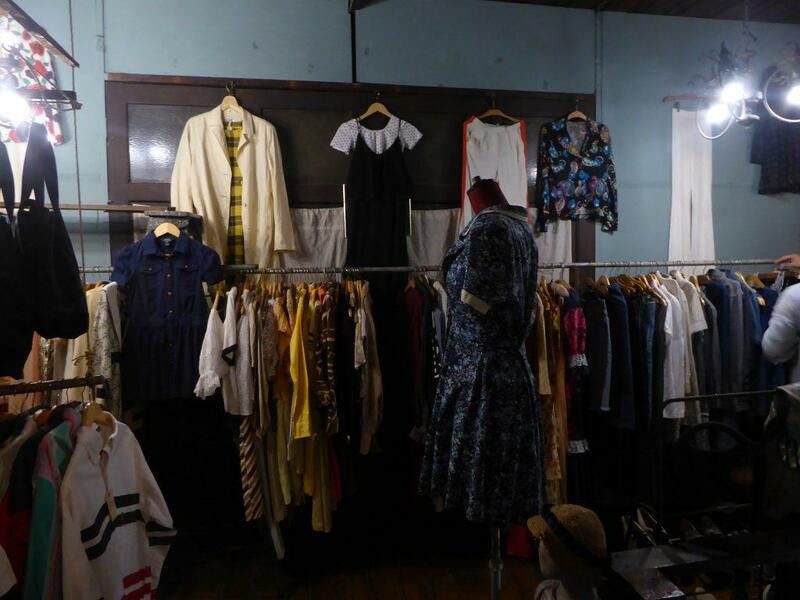 There are also vintage men’s jackets, shirts, and shoes as well as collectible items such as vintage dolls and soft toys. Location: Suanplern Market, Rama 4 Road, Bangkok. Getting There: BTS Phrom Phong (exit 2). Take a taxi from Sukhumvit 26 to Tesco Rama 4. It’s a short walk from there. 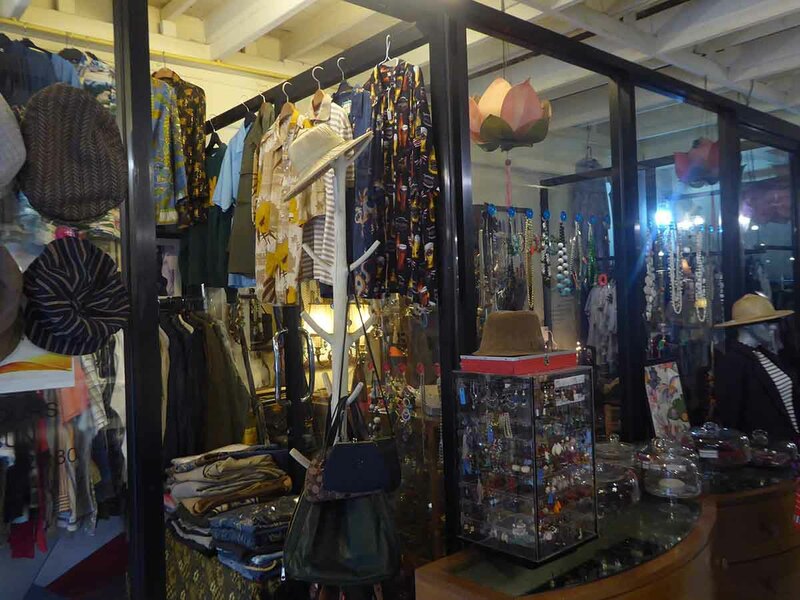 Thonglor Art Village is a collection of small vintage shops selling a variety of vintage clothing, Jewellery, and accessories for both men and women. 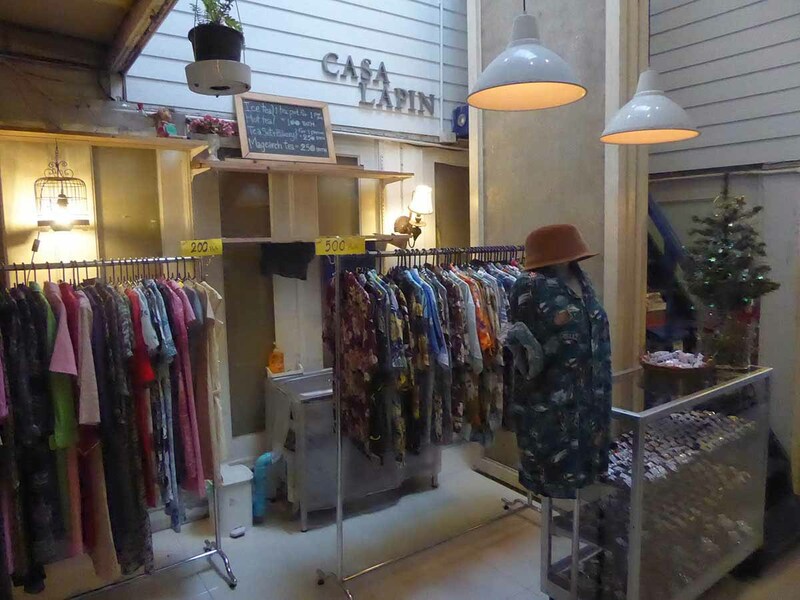 There is also a cool cafe called Casa Lapin on the first floor serving some of Bangkok’s finest coffee. 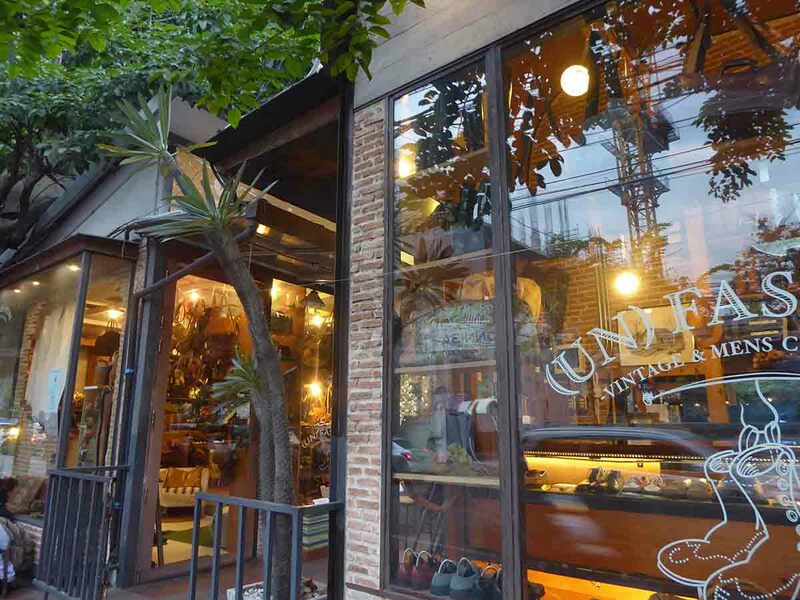 Location: 536 Sukhumvit Soi 55 (Thonglor). Between Thonglor Soi 17-19. Getting There: BTS Thong Lo (exit 3), turn left into Suk 55, The Art Village is a 15-minute walk on the left-hand side just past Soi 17. 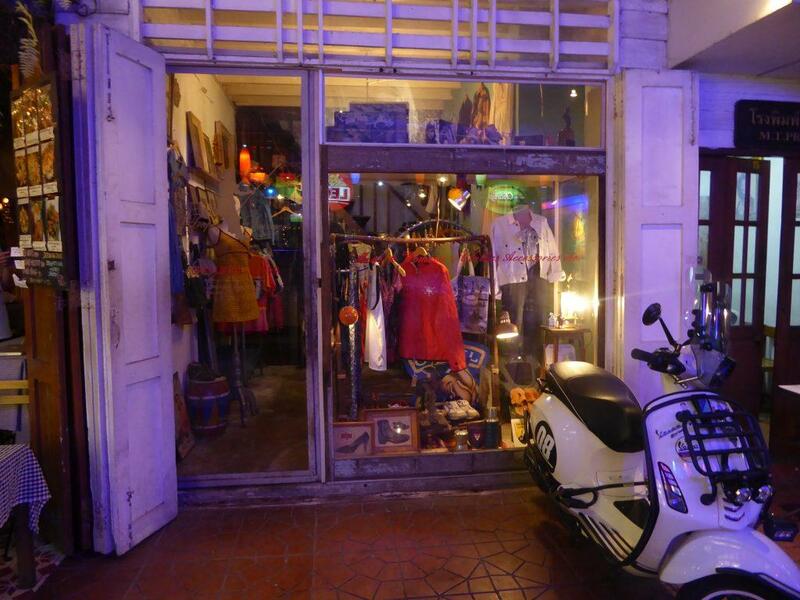 The Trapeze Swingers is a 2-story Vintage clothing store in the Khaosan Road area of Bangkok. 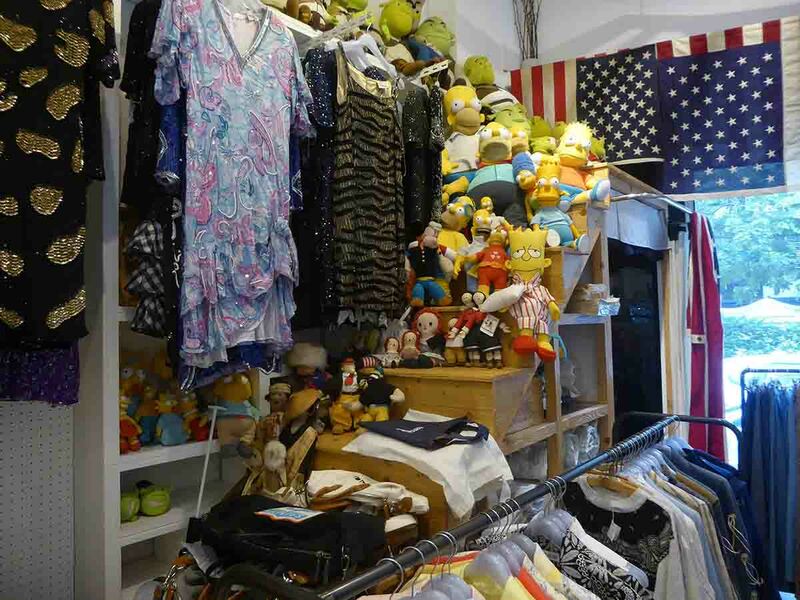 The store sells both women and men’s used clothing including Jeans, T-shirts, hats, shoes, dresses, blouses, shorts, jackets, bags and accessories as well as a small choice of old suitcases, paintings, books, vinyl records, and CDs at reasonable prices. Location: 15 Chana Songkram Alley, Rambuttri Road, Banglamphu, Bangkok. Opening Hours: 13.00-22.00 Tuesday-Sunday. Closed on Mondays. 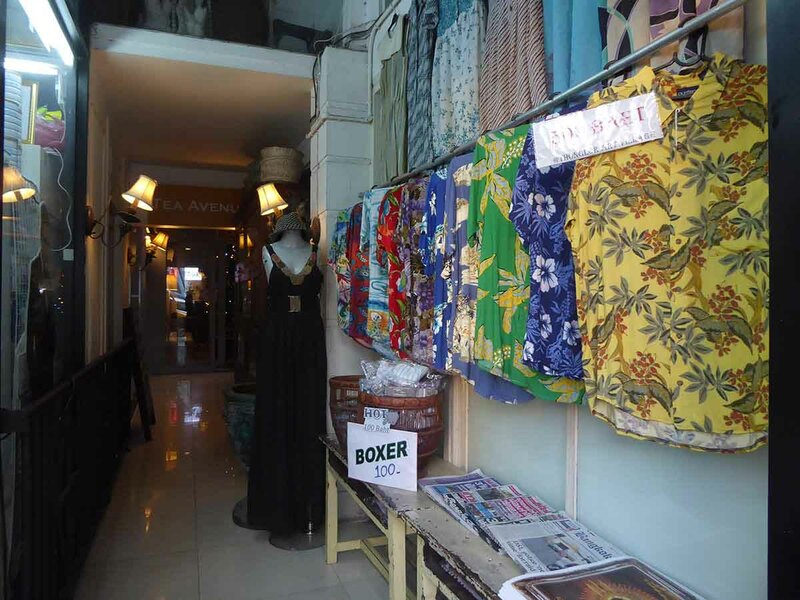 Getting There: A short walk from Khaosan Road.